Pearl-grey, saucer-shaped flowers, with pale grey stripes on the petals appear in summer among finely cut mid-green leaves. This exquisite meadow cranesbill is one of the tallest and most vigorous hardy geraniums. It is ideal for the front of a sunny border though it can also cope with a fairly shady spot. Try it in a wildflower meadow too, where it can self-seed freely. In the border, ground cover-colourful display. 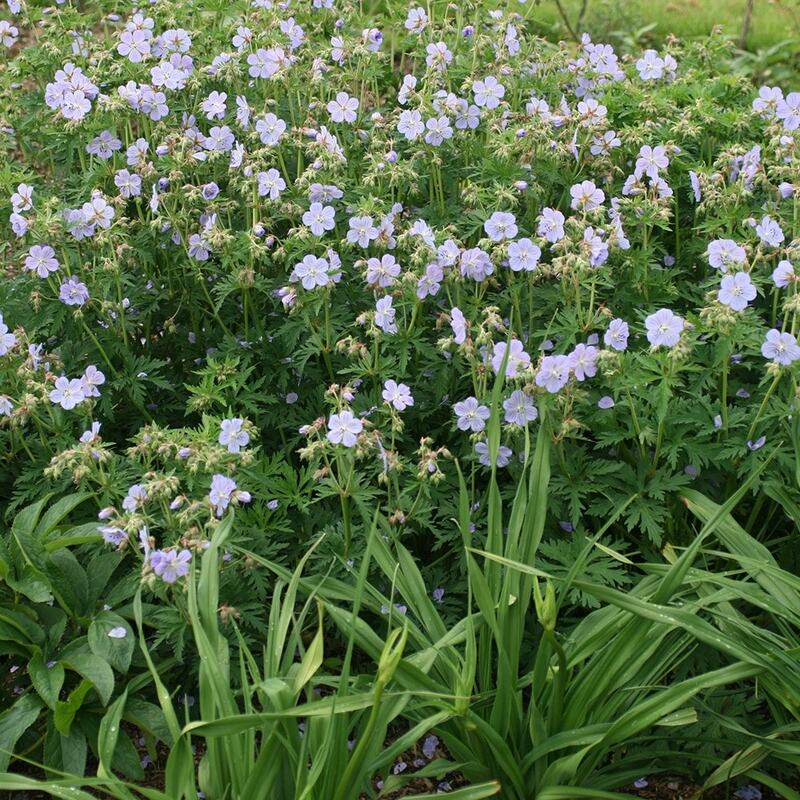 I'll always have some Mrs.Kendall Clarkes, planted in among other herbaceous plants: they are fairly tall with beautifully-marked petals in clear lavender-blue and as good-ttempered and trouble-free as all herbaceous geraniums. Hello, I have some of these in my garden but I'm a bit worried about them. They are in partial shade in good earth but for some reason they are very droopy and quite limp. They flowered well but do not support themselves. I had thought they would not need any plant support. Please could you advise me what I could try to do to make them stronger and more upright please, because they are so beautiful when they are growing well. Hello, The growth on many of the geraniums can be quite lax - particularly when they are grown in shadier spots, and at this time of the year, it can start to look pretty tatty, so you can tidy them up by giving them a short back and sides now. They will then put on a fresh new crop of foliage within a few weeks.